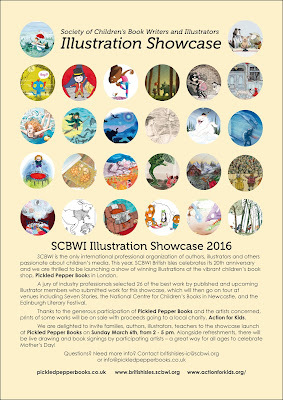 Home Bridget Strevens-Marzo illustration Showcase Pickled Pepper Books What does SCBWI BI do for illustrators? Two good examples! Illustrators, writers, families - young and old - here's something different to do on Mothers' Day, Sunday March 6 from 2- 5 pm. 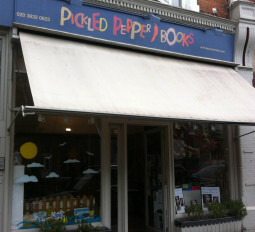 Come and party at North London's vibrant bookshop, Pickled Pepper Books in Crouch End! Buy a print for your child's bedroom and it will help another child thanks to Action for Kids. There'll be live drawing, book signings by some of the artist/authors and plenty of space to browse, chat, drink and nibble. Here's a sneak peek of the exhibition we put up today. 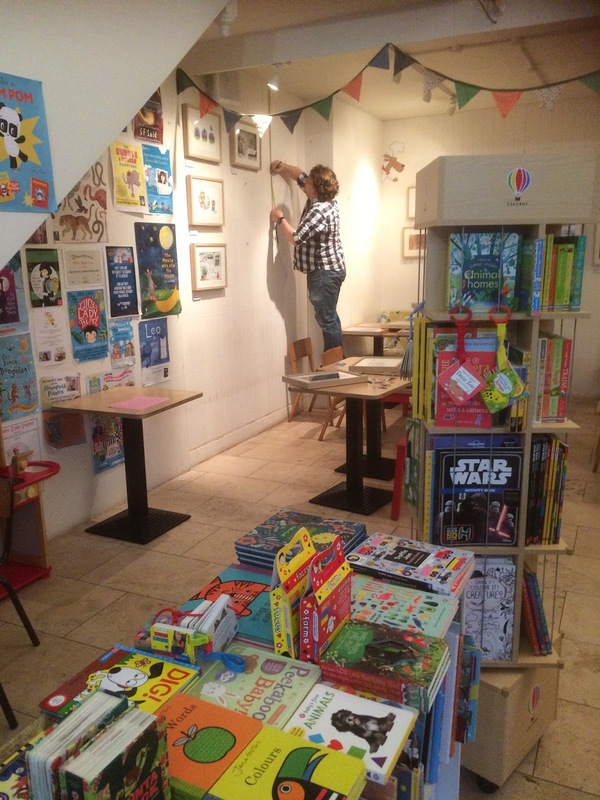 Next stop later in the year for this Illustration Showcase is the world famous Seven Stories, the National Centre for Children's Books in Newcastle. You can view the Showcase online, (though of course it's not the same as seeing them in situ!) and if you are an illustrator, find out how to enter next year's Showcase! admiring one part of the Showcase... Join her and us on March 6th. 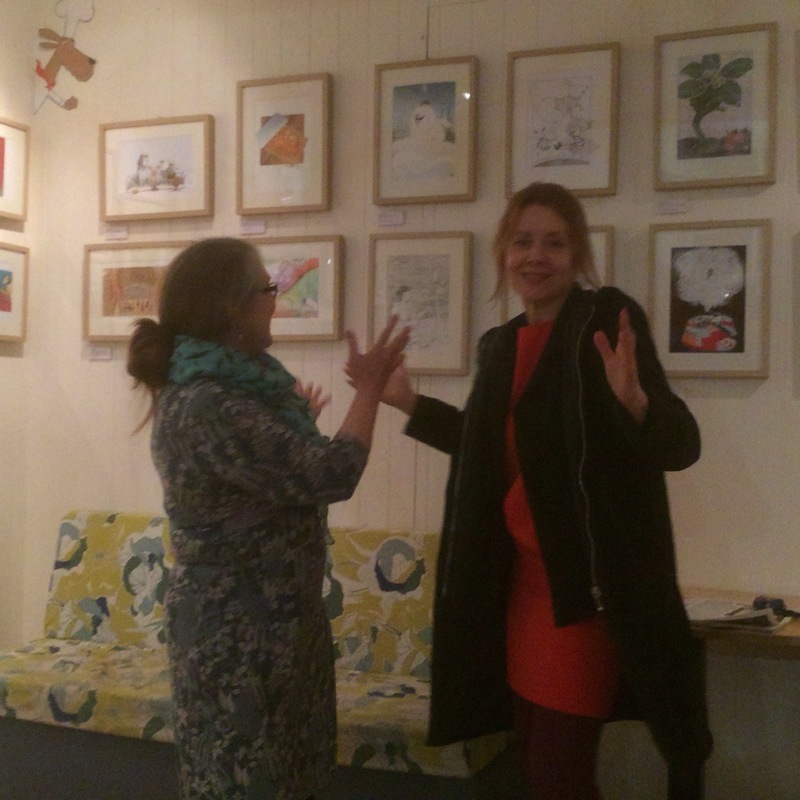 The show is up until the end of April. 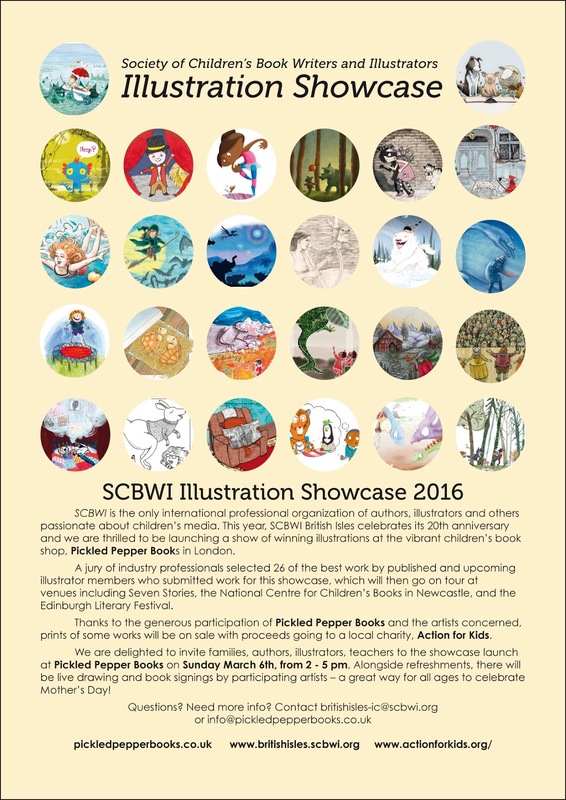 The Illustration Showcase is one great example of what SCBWI does for children's book illustrators of all levels of experience, published and pre- published. And here's just one example of what two illustrators do for SCBWI. 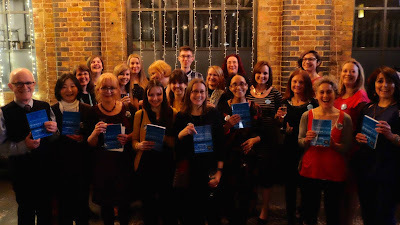 and greet the winning illustrators here holding fresh copies of Undiscovered Voices. And this is is another example of what SCBWI does for illustrators..
Every two years, while agents and editors undertake to read and select a small sample of excellent writing, art directors and agents get together over lunch to select single black and white images by unpublished illustrators we have pre-selected out of submissions from across Europe. Many writers like Sarwat Chadda who was talking as I took the snap above, have gone on from their first printed pages in Undiscovered Voices published by Working Partners, to great publishing futures. 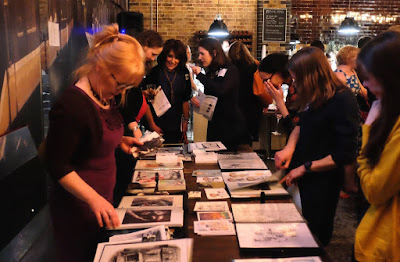 The prize-winning illustrator and UV illustrator organizer Loretta Schauer, John Shelley, Anne-Marie Perks and I shared our experience to help these pre-published illustrators get their portfolios ready for the event. 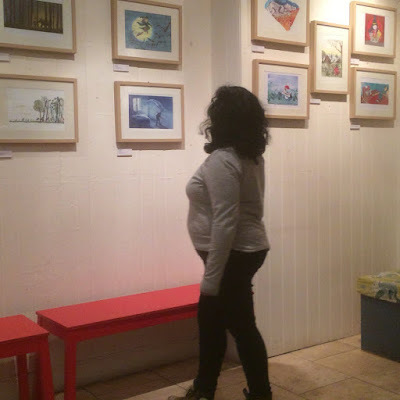 And now the illustrators are getting the attention they deserve too. You can see all the winning pictures here - in the Guardian as this year's 'illustrators of the future'! 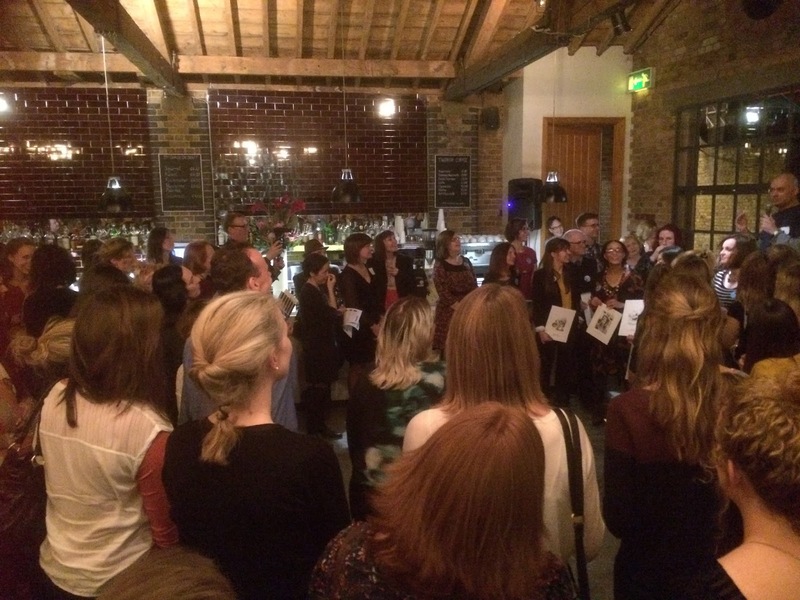 To quote Emily Drabble "Congrats to all the undiscovered illustrators that have been picked out as mega talented and whose gorgeous illustrations are now in the SCBWI anthology, along with the writing of 12 new authors. 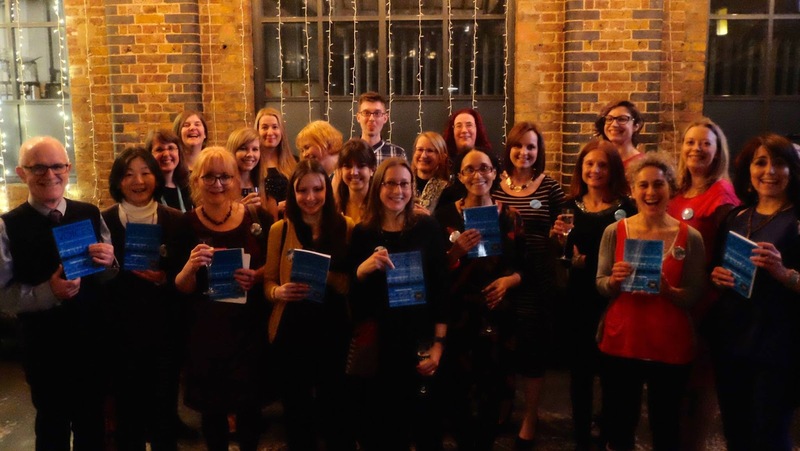 Free digital copies of the anthology can be downloaded from Undiscovered Voices. The anthology will be sent to people in the book world looking for new talent. So watch out for them!" SCBWI can be a launch pad for the unknown illustrator, a place for the published illustrator to promote their books and work, and above all, as I have found as the former International Illustrator Coordinator, in the years I saw it grow from its beginnings outside the US, in France, in the UK and elsewhere, a friendly, enriching and supportive network for ALL illustrators who love telling stories through pictures, across the world. 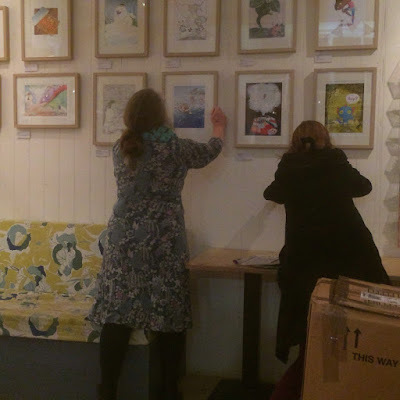 The exhibition at Pickled Pepper Books is looking great, thanks for all your hard work Bridget and Anne-Marie! Fantastic work Bridget, Anne-Marie! Crouch End was my old local area back in the day, it's really greto see that SCBWI has a prescence there! Well done.